The steel wire rod usually refers to the steel coil with small diameter. The diameter of steel wire rod is in the range 5-19 mm (usually 6-9 mm), the lowest limit is the minimum size of hot rolled steel sections. 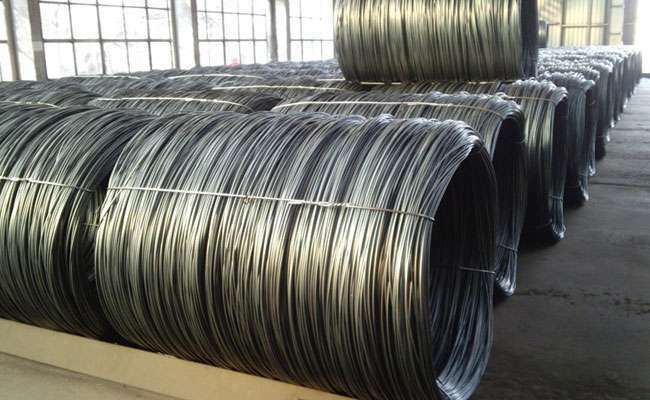 Steel wire rod is the round steel with relatively small diameter, commodity form is supplying with coil. On the site, the most commonly used diameter is 6, 8, 10, 12 mm, with the majority of low carbon steel, generally not used for main reinforcement of reinforced concrete structure, for many of the steel bar sleeve, and small diameter of for masonry brick reinforcement “. commodity form is rolled into plate supply, on the site in common with diameter of 6, 8, 10, 12 mm, with the majority of low carbon steel, generally not used for main reinforcement of reinforced concrete structure, for many of the steel bar sleeve, and small diameter of for masonry brick reinforcement “. There are many varieties of wire rod. Low carbon steel wire rod is commonly known as soft line, while high carbon steel wire rod is also called hard line. The steel wire rod is mainly used as the billet for drawing, it also can be directly used as building materials and processing machinery parts. With the development of technology, it has been the emergence of square, hexagon, fan and other special section of the wire rod; the upper limit of the diameter has been expanded to 38 mm; the weight from the original 40-60 kg has increased to 3000 kg. Due to the new technology development after rolling, iron oxide surface of the wire rod obviously become thinning and organizational performance has been greatly improved. The steel wire rod need be straightening by straightening machine before using, also removing the rust oxide skin in the machine, also in the repeated bending and stretching, and the strength is improved to some extent.